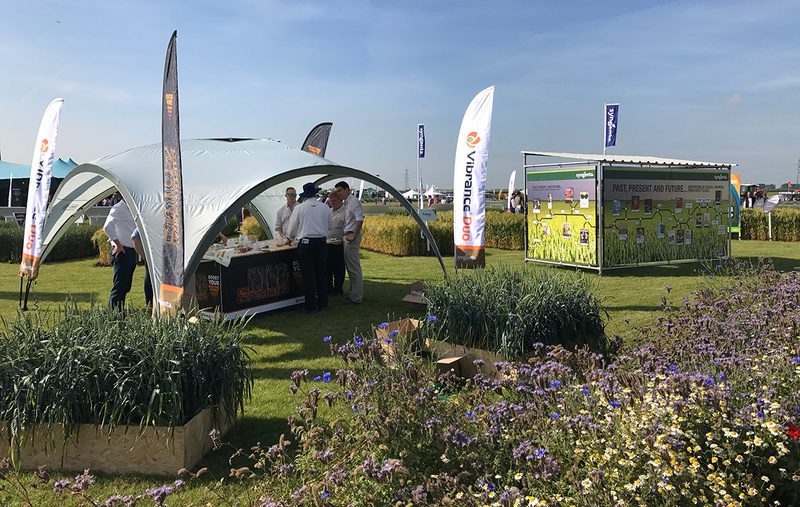 Despite the typically unpredictable British weather bringing us challenging blustery conditions (to say the least! 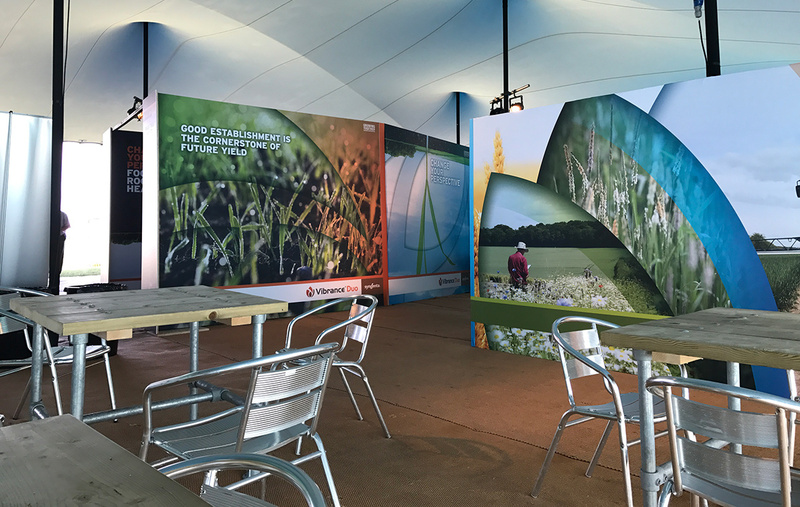 ), GQ again created an impressive indoor/outdoor exhibition for agrochemical giant Syngenta, at the renowned Cereals event this summer. 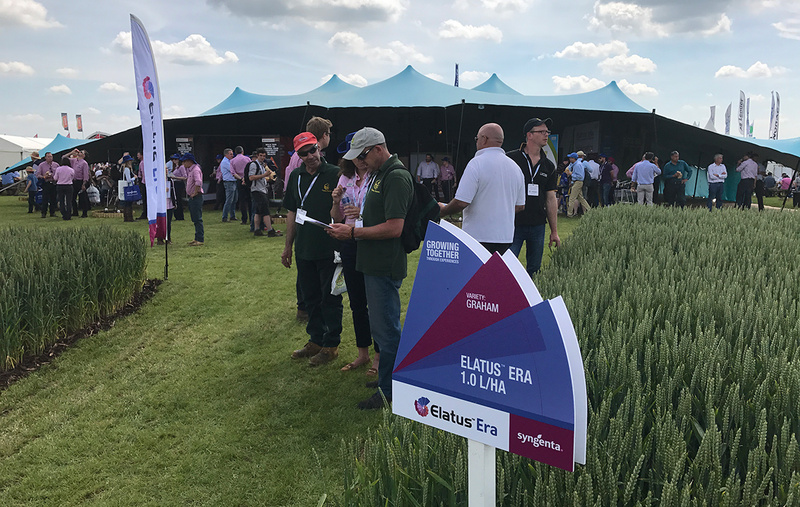 The huge expo is the arable industry’s leading technical event, with over 24,000 farmers, agronomists and professionals attending over the two days. 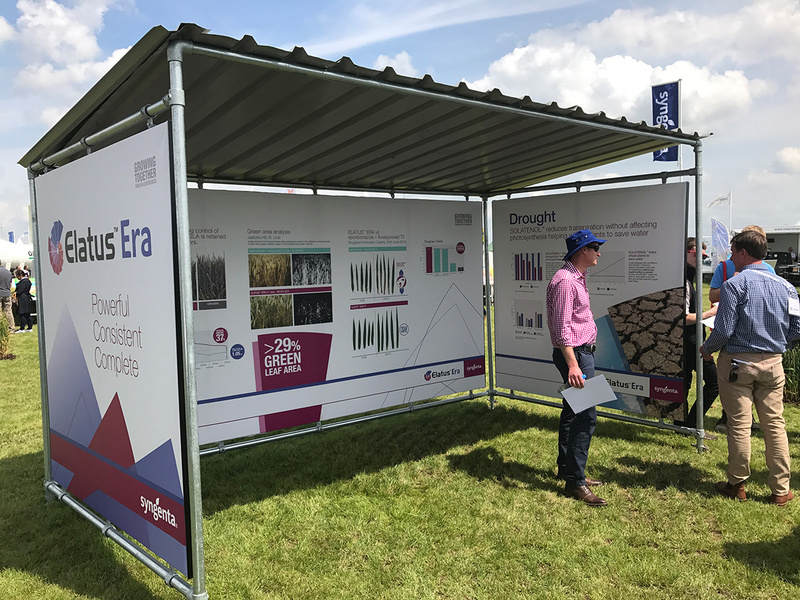 GQ worked with Syngenta on every element of the event, from developing the overarching messaging, designing promotional literature and advertising, to producing and installing the marquee graphics and external signage.